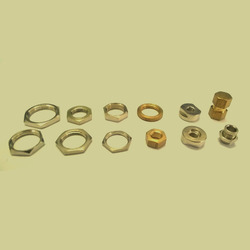 Our organization has gained the leading position by manufacturing, trading, importing and exporting the best range of Brass Ring Nuts. - Used in the electrical fitting. Outfitted with a modern infrastructure, we are the most prominent firm of a wide array of Brass Ring Nut. We manufacture and supply strong and robust Brass Ring Nuts that are made from BS 2874 / 2872 Grade Brass that ensures strong structure to them. 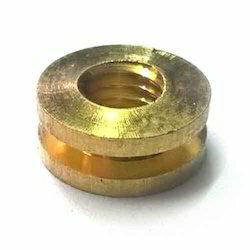 Available in different kinds of finishes, the Brass Ring Nuts offered by us have carved niche for themselves in the market. Our reputed entity is engaged in supplying Brass Ring Nut.